Show Recap – Take the Worry and Stress Out of Traveling with Tips from Carol Margolis and Charlie the Plumber! #ThatBusinessShow is growing at leaps and bounds. Viewership on the live stream which is available each and everyday via the “view live stream” link on the homepage of http://www.tampabayradio.com doubled its viewership from 7500 viewers in April to over 15000 viewers and is on pace to double in July as well. This is only numbers from http://www.webeamtv.com, the site owned by Tampa Bay Multimedia who handles the live stream. The show which is aired live weekdays at 8am on 1250WHNZ is available On Demand all over the web too including iTunes and my YouTube channel located here https://www.youtube.com/user/jamiemeloni – I’m looking for new partners and sponsors, email Jamie@tampabayradio.com for more information! 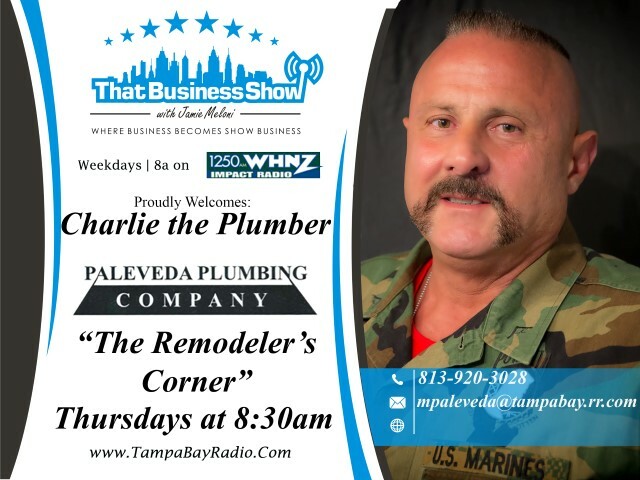 The show opened up today with a political discussion with myself and the always opinionated and boisterous #AmericanPlumber Charlie the Plumber. 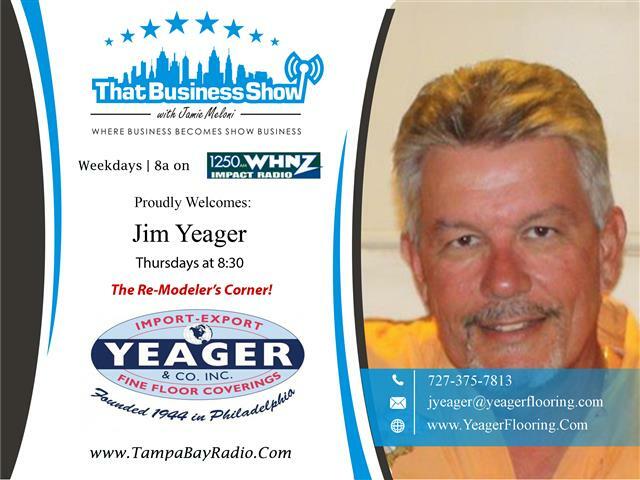 Charlie checks in each Thursday on behalf of Jim Yeager of Yeager & Company, a third generation flooring and remodeling company based in Odessa, FL and learn more about them at http://www.yeagerflooring.com. Charlie, a Marine, calls himself the Politically Incorrect Conservative, Christian, Capitalistic Plumber and chimed in today on the recent tragedy that saw the loss of 4 Marines in the shooting at Chattanooga. Charlie and I discuss how the media spun the event as well as hear his views on gun ownership and the political environment. 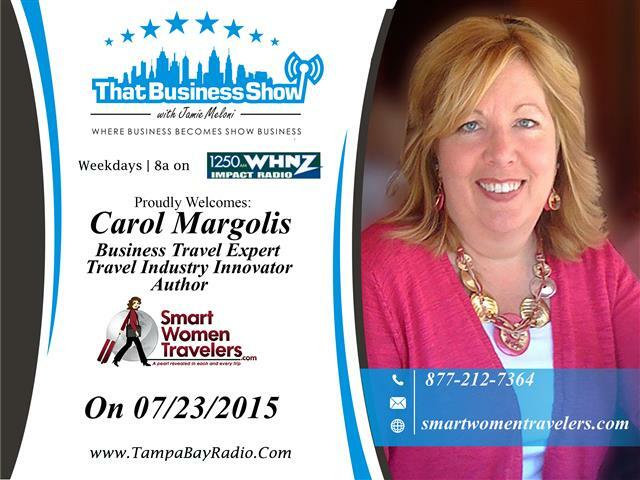 The 2nd segment featured my guest for the show, Carol Margolis. Carol is a business travel industry insider/expert and author of the best-selling book Business Travel Success . . . How to Reduce Stress, Be More Productive and Travel with Confidence. Carol, who has extensive business travel experience and had her fair share of travel nightmares, saw a need in the marketplace for guidance on this area and delved into it as an author and consultant. She has since left her prior position and now focuses solely on the industry as a speaker and consultant. She shares some great tips on the segment about business travel including some basic ones such as having the hotel’s phone number on you at all times and advice on credit card usage for business travel and we also touch on the taxi business with a discussion of how Uber and Lyft are impacting the business travel business. Carol offers a free copy of her e-book 70 Secrets to Safe Travel by visiting http://www.smartwomentravelers.com and inputting your name and email and you can also learn more about her and the business at http://www.businesstravelsuccess.com! #AmericanPlumber and I wrapped up the show together on the last half of the show as we touch briefly on a few other hot topic issues including the confederate flag issue and border security and had to cut it short as we never have enough talk time when Charlie is on the show. Be sure to tag #AmericanPlumber in social media posts whether or not you agree or disagree with his views and be sure to follow him on Twitter @charliezplumber. Also follow myself @Jamie_meloni and keep up to date with all show developments at http://www.facebook.com/thatbusinessshow! This entry was posted in Entrepreneurship and Business and tagged airline tips, branding, business, business travel, entrepreneur, foreclosures, real estate, travel. Bookmark the permalink.